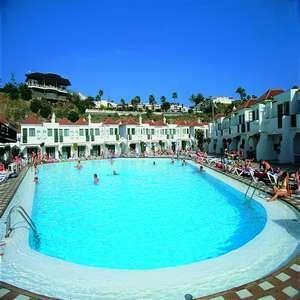 The apartments are situated in Brena Baja, a tranquil area of the Island of La Palma. 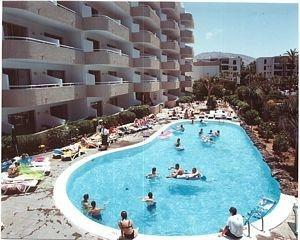 The capital, Santa Cruz de Tenerife is some 10km away and the beach and tourist zone of Los Cancajos is just 500m away. Here clients can take a walk, do some shopping.. The Oasis Maspalomas Apartments are located in Maspalomas, overlooking the magnificent sand dunes and sandy beach, just 100 metres away. Close to the complex there is an array of restaurants, bars and shop. The nearby promenade, ideal for an early morning.. This attractive complex is situated in the heart of Playa de las Americas, in the municipality of Adeje, Costa Adeje, and only 150 meters from the famous beach of Playa del Bobo. It consists of 84 bungalows - 1 and 2 bedroomed bungaalows, that were fully.. The Apartments California are situated in the centre of Playa de Las Americas, just 700 metres from Las Vistas beach and 800 metres from the Troya Beach. 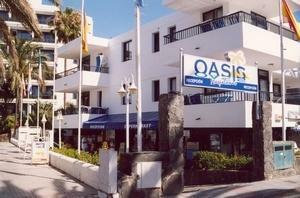 The shops, cafes, bars and nightlife of Playa de las Americas are just a stones throw away.With a.. This hotel is situated in Valle Gran Rey, a few minutes away from San Sebastian, the capital of La Gomera Island, the beach and the nearest local transport, the centre of Valle Gran Rey. This complex of 45 apartments was built in 2007 and offers some.. The Hotel Features 18 Accommodation Units. A Lobby And A Reception Are Available To Guests. A Lift Provides Easy Access To The Upper Floors. Amenities Include A Safe. Internet Access And Wireless Internet Access Are Available In The Public Areas. Gastronomic..
Charming and quiet resort of bungalows in a family atmosphere next to the golf course and a distance of 2,7 km from Maspalomas beach and 2km from the spectacular Dunes of Playa del Ingles with its numerous entertainment venues and shopping centers.The..